Our CEO Mr. John Biesterfeld is currently on a business trip to visit our partner of PEEK raw material in Asia. 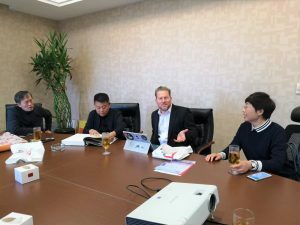 Last week, Mr. Biesterfeld had an effective meeting in China with our CoPEEK supplier Panjin Zhongrun High Performance Polymers in Liaoning Province. 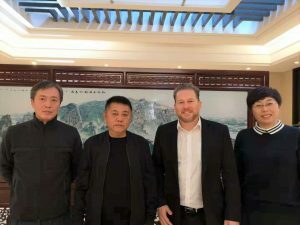 Together with the main shareholder, Mr. Li and Director Zhang, they looked back on our successful and growing cooperation during the previous and current years. To meet the growing market demands on PEEK Material, a future strategy was developed. Panjing has promised to support this strategy by financing the expected expansion in 2019 and the coming years. As a BIEGLO Team we are happy with this cooperation and looking forward to achieve the expected growth. 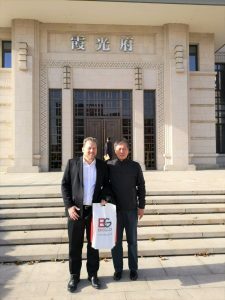 It is noteworthy here that BIEGLO GmbH since 2013 is the exclusive distributor in Europe for Panjin Zhongrun Polyetheretherketone raw material, CoPEEK Brand of granules and powders. 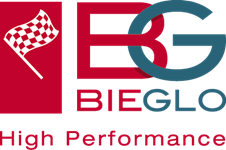 BIEGLO offers PEEK in various viscosities which can be used for a variety of applications: semi-finished product extrusion, injection molding, compounding, filament, film extrusion and coatings.